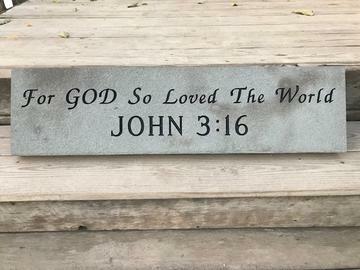 Come to Skyview Stone, and choose your special rock to be engraved or to have a plaque mounted on it, then you give your design or wording to Brian of Stone Unlimited ( Monument Maker ). Brian will engrave or mount a plaque on your rock, then it can be delivered and set the way you like it. Memorial Rock and Memorial Stone, Dedication Rock or Dedication Stone, Memorial Plaque Stone or Memorial Plaque Rock, Dedication Plaque Rock, Dedication Plaque Stones or Granite Memorial Rocks...... you choose. Make this nice 7 foot tall Rock come to life with your imagination, picture, name, place or occassion can all be engraved into this rock or a nice bronze plaque could be mounted on it! School Spirit Rocks can come in all shapes, sizes and colors ! Maybe lay the rock flat creating a huge groto waterfall into your swimming pool or use it a recreational platform - diving board ! You pick out the rock you like and we will help you get it engraved or a plaque placed on it, and help have it set in place for you the way you like it . Find that special rock at Skyview Stone. Bring your design with you. Make a cardboard template of the size item you want on your rock, then bring it down to fit on the specific rock or stone of your choice. You choose the Engaving Design Company to bring your rock to life! Pet Memorial, Animal Memorial, School Memorial, Armed Forces Memorial, Veteran Memorial, University Memorial, College Memorial, Fire Department Memorial, Police Department Memorial, Student Memorial, Company Memorial, Business Memorial, Hospital Memorial, Building Memorial, Class Memorial, Church Memorial or Park Memorial ...... pick out the right rock for the occasion to preserve the Loving Memory. What Design, Name, Number or Picture would you like to see in this Rock? As a School Spirit Rock this nice piece of granite could be painted for the next school football game ! 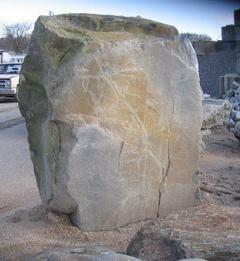 This Long Island Rock definitely makes a statement, weighing in at 7470 lbs. Oh Yeah .... This big boy will make a nice Memorial Monument Rock to be Engraved with a Picture and or Words, or have a Memorial Plaque mounted on it. Weighing approximately 10,000 lbs. We have our crane truck to put the rock of your choice in that perfect spot! When you need a rock engraved, after choosing the right one, we will coonect you with Brian who does the stone engraving. 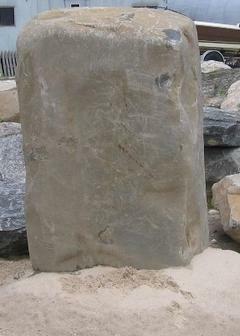 Large Manhattan Granite Rock for Engraving or Memorial Plaque. 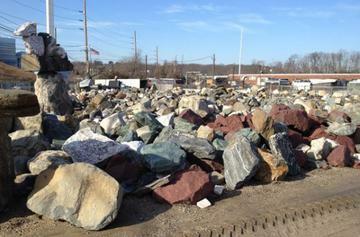 Rocks can be delivered in Suffolk County, Nassau County, Queens, Brooklyn, or Bronx. Or bring a truck or trailer and we will load the rock you want. Do you need a rock cut, to place it flat on the floor in an office building ? Maybe you need the top of the rock you choose, cut flat for a statue or art work to be mounted. You choose the rock and we set you up with a company with a rock saw to do this work for you. When ... Why ... How ... did the people of the world start speaking different languages ?